I love my macro lens. I'm not ashamed of that: I think it's the greatest thing I've ever bought. 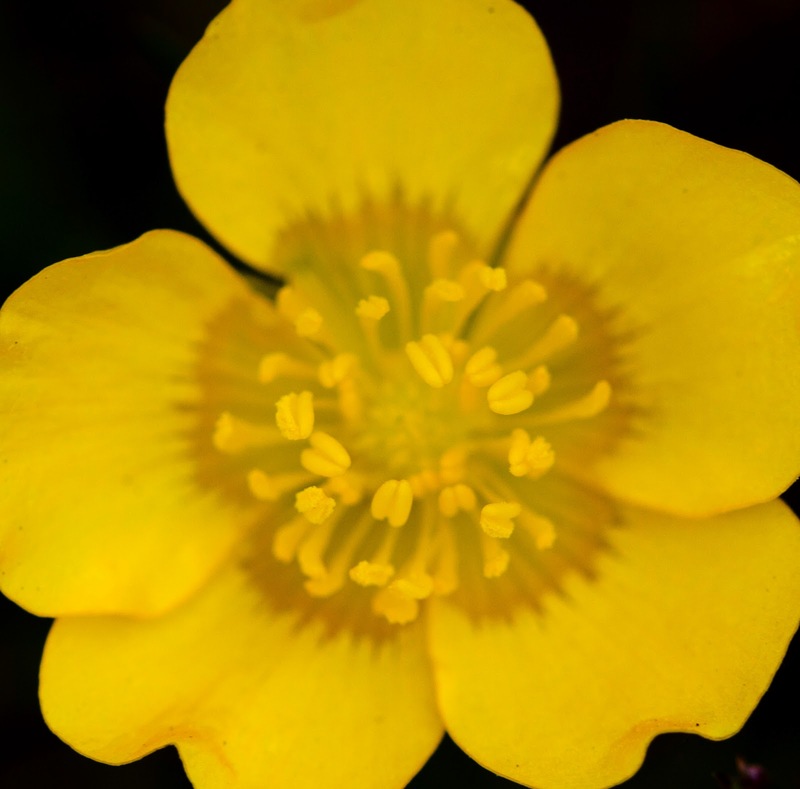 A smattering of wild flowers has appearded on the grass I sowed beside our building, and thanks to said macro lens I can get right inside this buttercup.